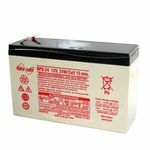 You need UPS batteries that provide an uninterruptible power supply and at County Battery, we believe that uninterruptible power supplies should always live up their name. 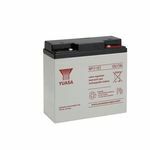 From large, powerful units that are ideal for mission critical commercial applications, to small but still capable models that are perfect for home use, we stock a range of high quality UPS replacement batteries that will not let you down when you need them most. 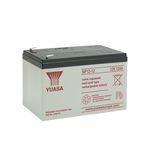 If you take a look at what we have to offer, you will see that the batteries we sell are sourced from leading manufacturers such as Yuasa, EnerSys and Yucel so you can be sure that they are of the very highest quality. 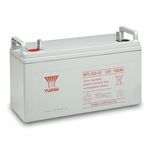 Excellent Recovery – Whichever battery you purchase, you will be getting a unit that is capable of recovering well from deep discharges, over multiple cycles. 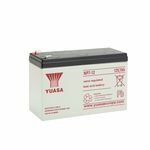 It is this capability that makes them such a reliable source of back-up power for both home and business users. 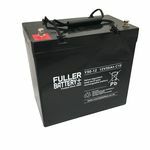 Energy Density – Our batteries are designed to pack a lot of punch into a small space, meaning that there is no need for you to install a unit the size of a small house just to keep your electrical equipment running when the power goes out. 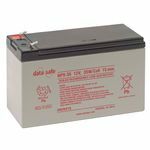 Sealed Design – Our batteries are sealed, providing you with maintenance-free replacements that you don't have to worry about once fitted. In addition to being maintenance free, sealed units can be used in any orientation, save inverted, without any fear of leakage. 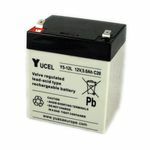 Longevity – The lead calcium grids inside each UPS battery help to ensure they will provide trouble-free service for an extended period of time. This longevity, together with the competitive prices we charge, makes our batteries a highly economical choice for both business and personal use. 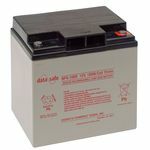 Electrolyte suspension systems also help to extend the useful lifespan of each unit by absorbing more electrolyte, thereby protecting the internal components during deep discharges. We stock batteries that have been designed to meet your specific needs. 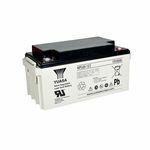 If, for example, power is more important than duration, one of the models in our EnerSys DataSafe range could be just what you are looking for. 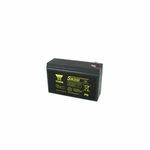 Designed to provide a high wattage in rapid discharge scenarios, they are purpose built for heavy-duty industrial applications. 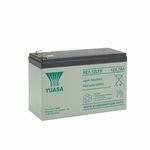 On the other hand, if you need as much time as possible, to ensure that there is no loss of power to delicate equipment before your local utility company comes back online, one of the robust units in our Yuasa range will probably be more suitable. 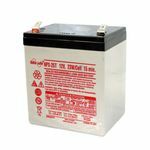 In short, whatever your reason for needing an uninterruptible power supply, we have a battery that can meet your requirements in full. 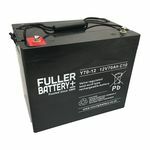 As with all of the products we sell, we are more than happy to provide further information on any of the batteries in this category, and to help you choose the most suitable one for your needs should you desire. You can call us on 01623 757377.